Forget ravines. 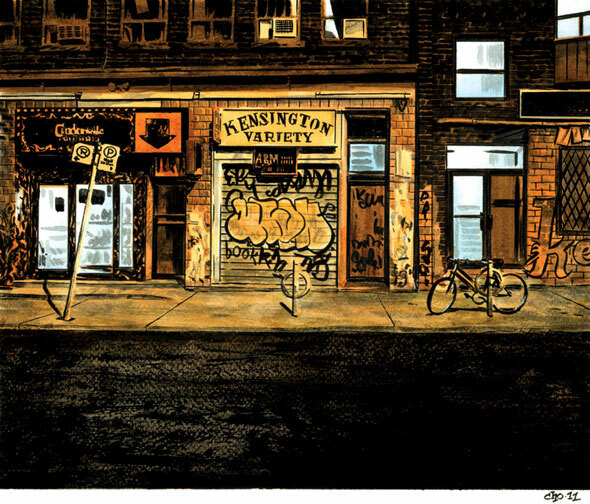 It's back alleys and laneways that make Toronto's urban landscape unique. 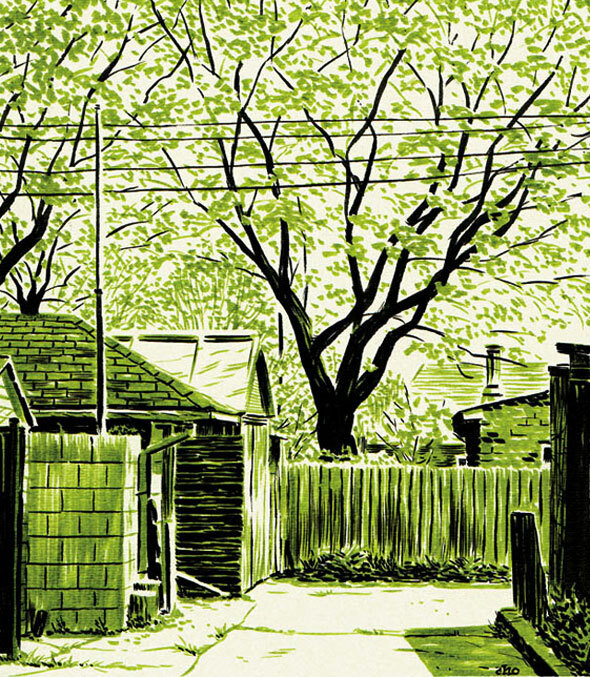 Hidden in plain sight, these capillaries are far more intriguing than their pragmatic function may indicate â they're the quintessence of what Shawn Micallef likes to call our "messy urbanism." 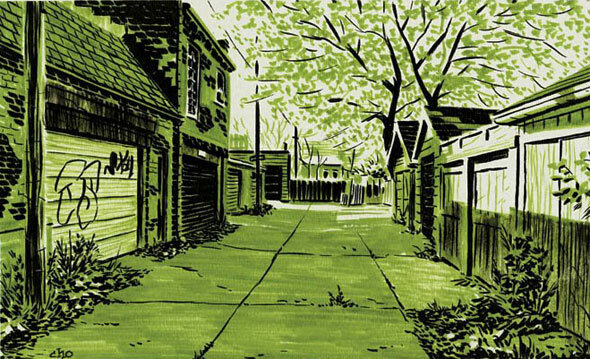 A hodgepodge of coach houses, garages, and various DIY infrastructure, our alleyways are more gritty than beautiful, but they're always fascinating. And now there's a lovely new book devoted to them. 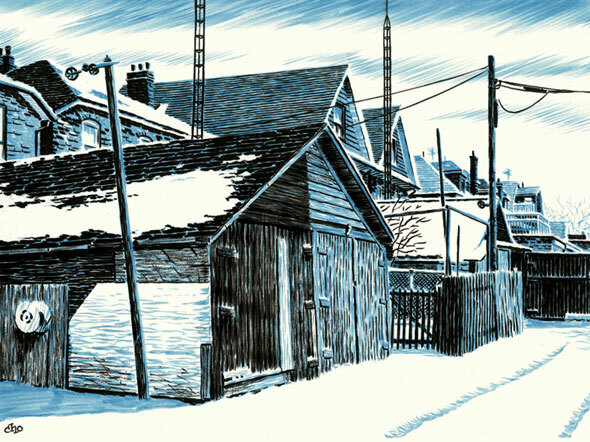 Local illustrator Michael Cho has been documenting this particular aspect of Toronto's urban form since 2006, which has culminated in the recently released collection Back Alleys and Urban Landscapes. Featuring pared down drawings and paintings, the images that make up this book capture the untidy subject matter just about perfectly. Some drawings feature more detail than others, but Cho's sketch-like style remains mostly consistent throughout the book. This lack of polish is, of course, wholly intentional â mirroring as it does the subject at hand. 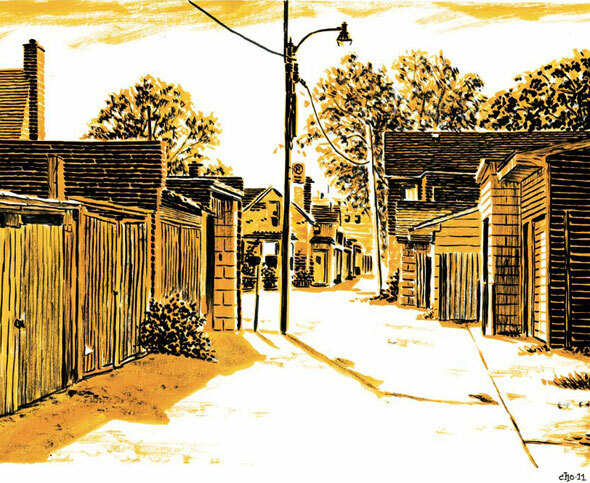 A drawing of a Toronto laneway should be a little rough around the edges if the artist hopes to capture the feel of the place, which is something that Cho has down pat. The lack of people in these images is also fitting in that it confers a certain stillness that's typical of our laneways. Primarily a visual collection, the book isn't heavy on text. 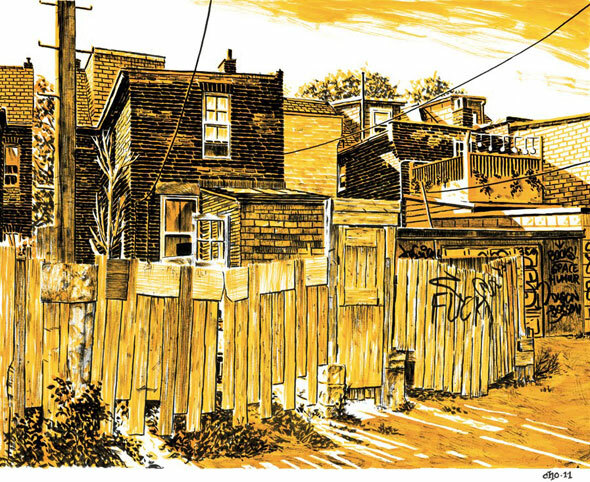 But the brief passages that we do get offer snippets of insight into Cho's artistic process and his love affair with Toronto's back alleys. 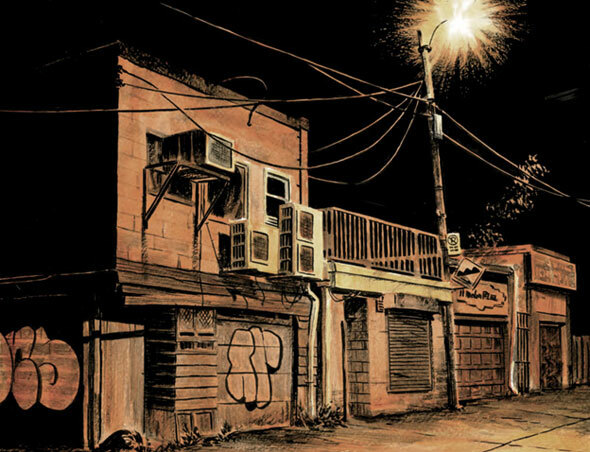 In some sense, Back Alleys can be viewed as a companion to Patrick Cummins' Full Frontal T.O., which also focuses on aspects of Toronto's built form that are often overlooked. Both would make excellent additions to the Toronto lover's book collection.